Getting your sweet sugar fix without the torture of tooth loss. As a professional dental practice, we know the effects of consuming sugar all too well. The ingredient can be found in most food and drink products, whether it be natural or artificial. Knowing what sugar does to your teeth over a period of time, such as tooth loss, is key to your oral health, and informing yourself of the dangers, as well as effective ways of avoiding sugar. There is nothing wrong with indulging in your favourite childhood confectionary, or ‘go to’ sweet snack every now and then, but we all know that sugar can not only harm our teeth and gums, but also our physical and mental health. So, if you are trying to find ways to cut down for one purpose, chances are you will also notice other benefits too. Carbohydrates (of which are sugars) is the one you should consider the most in terms of sugar content. As you can see from the example below, there are 39 grams of sugar per one 330ml can, equating to 10 teaspoons of sugar.The NHS say more than 22.5g of total sugars per 100g is high and 5g of total sugars or less is low. 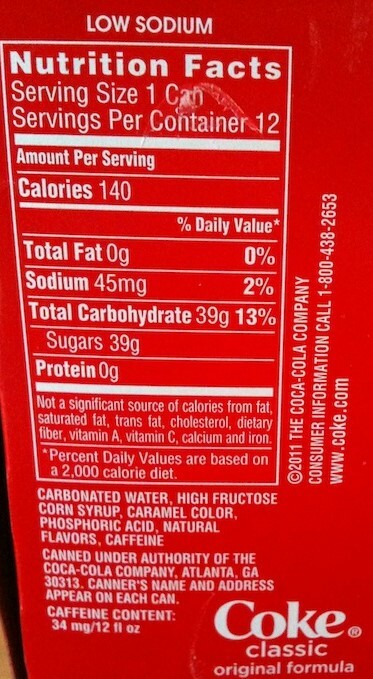 In this case, although 39 grams seems excessive, is still in the moderate level of sugar content. It is also important to note that the most used ingredient in the product is listed first. Here it is carbonated water followed by high fructose corn syrup and so on. Furthermore, the NHS say that added (or artificial) sugars shouldn’t make up more than 5% of your daily energy (calorie) intake per day. Of course, the right types of sugar can help individuals who compete in sporting activities, and those with diabetes to maintain their insulin levels. However, when sugar is consumed in large quantities without any real benefit, that’s when we should be looking for alternative solutions to get our sugar fix and protecting our teeth. At some point in your life, you’ve probably been told that ‘eating an apple a day keeps the doctor away’. When it comes to eating fruit with natural sugars, however, too many can have a negative impact on your oral health over time and could lead to a trip to the dentist, and a dental implant consultation, instead. Products such as canned fruits can be filled with a lot more sugar and syrup than you realise. This also goes for dried fruit which people reach for when the fresh version gets a little boring, however, the ingredient does contain highly-concentrated levels of natural sugar and the sweet stuff is often added to the final product, making it more tasty, marketable and appealing for the consumer. Why not try an alternative such as 80% dark chocolate for your sweet fix? Simple swaps from sweet to savoury is a great idea if you need to cut your sugar intake. Think about making green and herbal teas instead of your two-sugar English Breakfast when you next boil the kettle. Avoid brushing teeth one hour after consuming sugar. A common example if drinking orange juice in the morning and cleaning your teeth straight after. Doing so will avoid enamel being broken down, which causes sensitivity to the teeth. Don’t skip the dentist! You should look to make appointments every six months to a year. If you would like to learn more about how to avoid sugar to benefit your oral health, check out our blog – we’re always looking to provide you with the best tips and information. Alternatively, to speak to someone regarding dental implants in Banbury, please call or fill out our contact form today. We look forward to welcoming you to The Implant Studio! At The Implant Studio, we have a history of transforming smiles and restoring confidence. Here's one case in point - read how a patient who came to see Dr. Tom Donnelly with just two teeth underwent dental implant treatment and walked out of our practice beaming. This gentleman came to see Dr Tom Donnelly in December 2015 wanting to have a smile in time for his son’s wedding. View the case study here.